Tom Mollenkopf is CEO of the Peter Cullen Water and Environment Trust; he is an independent advisor on policy, strategy and governance, a Senior Associate with the Aither consultancy and Senior Vice President of the International Water Association. 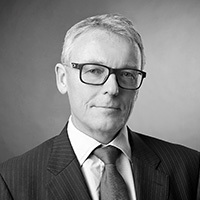 Tom was formerly CEO of the Australian Water Association, Deputy Executive Director of the International Water Association based in London and Executive GM at South East Water in Melbourne. Tom’s professional career started in law, first in private practice and then as corporate counsel. Tom’s advisory work has predominantly been in the water sector, dealing with utilities and water authorities, research centres, industry bodies and government agencies. He has worked extensively across water sector infrastructure, regulation, policy and governance. In 2015 he completed an Independent Review for the Australian Government of the Water Efficiency Labelling and Standards (WELS) Scheme.